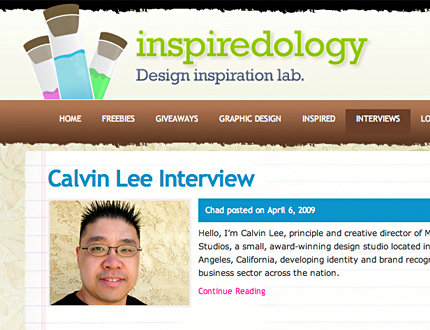 I was lucky enough to be interview by Chad Mueller, owner of Inspiredology, an awesome website about inspiration for all things design. + Where do you look for sources of inspiration? + What is your favourite aspect of logo design? + Who do you look up to in your field? + How has using Twitter helped the popularity of you? + What sort of social media tools have you found most successful? + What advice would you give to someone looking to specialize? 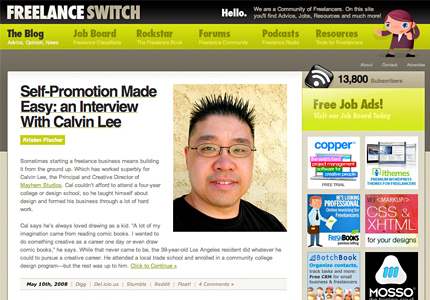 Head on over to Inspiredology, and read my interview to find out a little more about me. 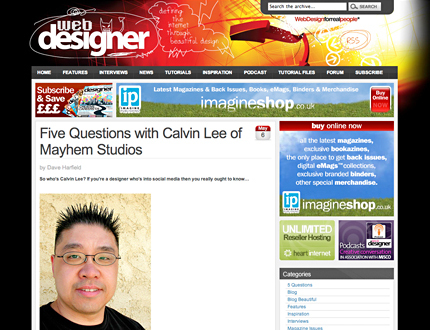 Follow me, @mayhemstudios and @chadmueller on Twitter.